This week Mark and I have been considering Songs From Tsongas in order to re-live the last time Howe, White, Anderson and Wakeman were together on stage along with the late great Chris Squire. With the recent ARW and Yes live offerings perhaps only offering us part of the story, does Songs from Tsongas now seem like the full picture? Was it better when the ‘classic’ lineup were with us? How does the acoustic section come over? How is the band interaction? Listen to the episode then let us know what you think! 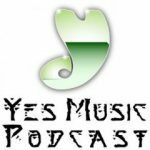 If you would like to support the Yes Music Podcast, there is a Patreon page where you can sign up. The iOS and Android YMP apps are no longer available unless you have an old version still on your device. If you are still listening to the podcast on the website, please consider subscribing so you don’t risk missing anything. You can subscribe with an RSS reader, with iTunes, with the iOS Podcasts app, via email updates, via www.stitcher.com on Spreaker.com or via Tunein.com. Great pod, fellas. I stumbled upon your podcast a few months ago, and now I cannot stop listening. I am keeping up with the current one and am slowly catching up with the Classic Feed. Thank so much for doing what you do. A comment on Rick’s lack of cape at the Tsongas show. I was at the show a few weeks prior in Rosemont, IL, and the Caped Crusader was fully caped that night, as he was for the rest of the tour. I seem to recall reviewers at the time stating that it was ridiculously hot inside the arena at Tsongas the night of the show, and that the air conditioning was not working, alas, Rick ditched the cape so as not to pass out. Can anyone else confirm this? On a side note, when I saw ARW in 2016 in Chicago, Rick sported the cape, but underneath wore a Chicago Cubs shirt to show his support of their recent World Series victory! Have a great weekend. Nice to hear from you. We really appreciate your kind words and support of the podcast. Wow..if your going back to the beginning then you have a lot of great episodes to go through. And just as a little side note…in case your wondering why I’m not on the episodes at the beginning. 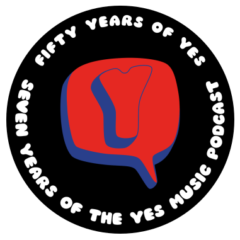 ..it’s because I didn’t get involved with The Yes Music Podcast until a few years after it started. Thanks, Mark. I’m only on Episode 30, so I definitely have a lot of catching up to do! I am enjoying the adventure, and look forward to hearing when you come aboard. Hi, John. Doug here in Ohio. Yes, at the Tsongas show the air was not working. The band had to take breaks between songs to dry the sweat off & rehydrate, so they could get through the show, and not be sweating on camera. But that didn’t top the Toledo, Ohio, show in ’77, the kickoff to the GFTO tour. Again, no air and they were dying at the end of the show. I was backstage with them after and Alan said they were told it was 110 on stage! Audience members were passing out. The life of a rock band! They had some fans to help cool them in Tsongas. None at the Toledo gig. Thanks for confirming, Doug. I thought I remembered reading about that on the message boards and whatnot at the time. That Toledo show sounds like a hot one, to say the least! Well… congratulations, Mark – I believe this episode marks the first time Kevin has used the term “co-host”! As for the show itself, well I sure am glad they saved this one for the ages. It’s a bit like a modern version of the QPR show, performance and content-wise: a HUGE show encompassing the entire career. I guess that’s enough for now…. Thanks for the comments. Yes I noticed that Kevin said that this week…of course this will always be Kevin’s show but I definitely feel settled in to my role as co-host and comic relief. Haha. But in all seriousness joining Kevin in this podcast has been fantastic and something that I take seriously. Thank you and everyone who listens every week. It means a lot. Hilarious Two-pence. You guys took it to an extreme about offering cots and beds but Yes deserves it. You could be right Mark. It could be stubbornness. Or egos. I don’t buy the argument about the cost. Other bands seem to record new albums (Haken, Steven Wilson, Pineapple Thief, Steve Hackett,…). I wish everyone in the band would block out several weeks, get together, bring ideas, and be a creative band and…..create! Stop making excuses. Billy, stop touring with Asia, or whomever calls. Steve, get with Jon Davidson, have a pint or two and compose. Geoff stop putting your creative energy in other projects. 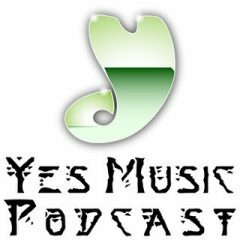 Most bands would love to have the adoring and hungry fan base that Yes has just waiting for their next release!